9 month old – from eating little to lots! Vicki contacted us about her son F; he had been slower than typical to start solids and at nine months still ate very little compared to his peers. He breastfed every few hours day and night, sometimes as frequently 6,7 or 8 times between midnight and 7am. Vicki described how F seemed interested in food, but would frequently push it back out with his tongue. He couldn’t manage more than a few mouthfuls at each meal, couldn’t/wouldn’t use a spoon, and nor would he let his parents feed him with one. He also refused sippy cups/bottles, only accepting liquid from the breast. His weight sat on the 9th centile, after dropping steadily since birth. 1pm… had the snip. We were totally at ease throughout the procedure as Ann explained everything thoroughly and really made sure we wanted this done (and for the right reasons… which I really appreciated being asked). more than we need to account for ‘spittage’). By Leeds, F had seen off half a cheesy wrap (about the size of a good sized pizza). By the time we reached home, the whole wrap had been polished off, alongside some breadsticks, fruit flakes and dried apricot. At tea, F ploughed through an adult sized portion of egg fried rice… for the first time taking huge, full spoonfuls, and swallowing them down. I think he got sick of me taking some pictures, but I’ve attached one anyway. He also got through half a veggie burger and lots of potato. In addition to all of this, Fred also had room for a twirl… given to him by grandma for him being a brave boy! F has been sticking his tongue out at all and sundry so far… how rude! On the pain/grumbling side, F did not want his teeth brushed (but, after the twirl incident, had to be persuaded). He has has a couple of whinges and has had a dose of paracetamol at each one. He was awake 3 times through the night crying… but hey, that’s already one less than usual! Sunday: Up at usual time. Toast and dry cereal as usual. One spoonful of yogurt… the first in about 3 months… hoping for 2 tomorrow! Monday: Very little grumbling now and business as usual. Except with eating… the change is phenomenal. F is eating full meals and snacks. Tuesday: F’s first day with his grandma since Saturday. She can’t believe how much his eating habits have changed and is stuffing food in whenever he can. At playgroup, F has to be forcibly removed from the snack table so that they can clear away! Wednesday: I couldn’t eat my tea tonight… as F kept grabbing my fork and eating off my plate. We’ve always made him a separate meal from us, more mashed up as it’s all he could manage, but tonight it seems he wants something a bit more substantial. We’ve also had the word ‘car’… F’s 4th word. On the nappy front, F has had solid poos for the past few days… smelly, but I’m guessing a good sign. Thursday: More eating. More pooing. Than ever before. Everyone who knows F is commenting on how much he is eating! A grumbly night… though I think there’s a tooth coming through – he’s probably chewing it through. Friday: I’ll finish the diary for now on another foodsome day. The change has been absolutely phenomenal and we just can’t believe how much F is eating now… or how much he wasn’t eating before. He’s just been poking his tongue out at an icepop and we’ll try for an icecream at the weekend and let you know how we get on. 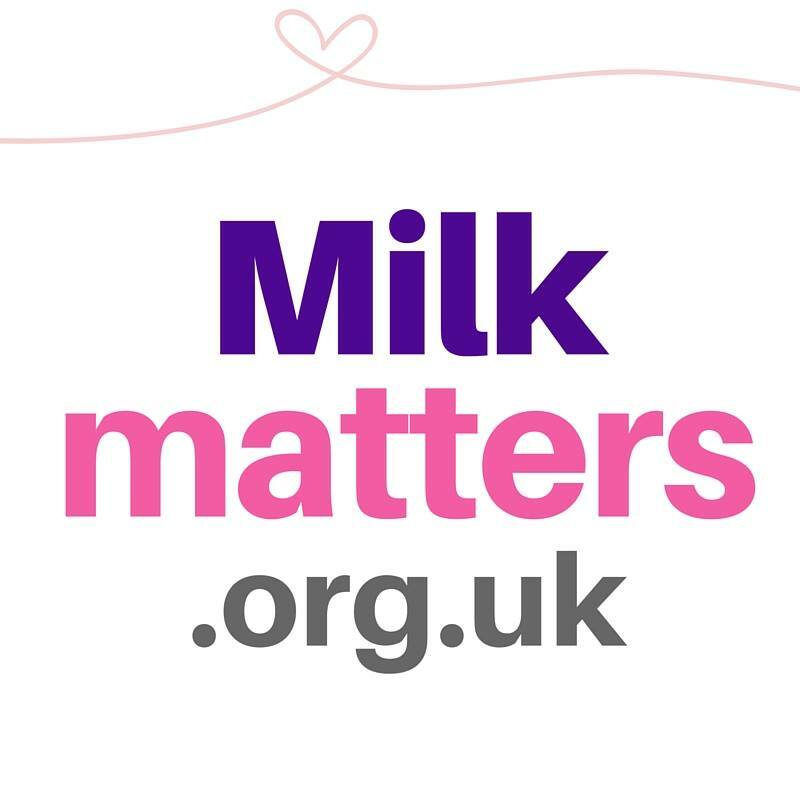 I know that all this is part of day’s work for you at Milk Matters, but I really just can’t express how much you have changed things round for us in the space of a week. F’s new eating habits are amazing and will no doubt do him the world of good. For me, I’m just so happy that someone has actually listened to me and has made sense with their answers! As a first-timer I still have instinctively known something wasn’t right somewhere but have been met with criticism and bad judgements whenever I’ve dared to ask… It’s great to know I’ve finally met people who know what they’re doing and who put us at ease so much! I just wish it was a year or so earlier… and you were on our side of the Pennines! We’ll keep you in touch with any future developments… we’re going to give it a couple of weeks and get him weighed… just to check if he’s still on the 9th centile… though hopefully he’ll creep back up again now. If there is any way we can ever do anything to support you guys, to spread your good word or to give a good reference to parents please let us know as we really owe you one. F’s tongue is amazing! We were just giggling about it earlier as he’s starting to lick everything… he just loves to poke it out wherever he can. He is really making a lot of noise using his tongue too and seems to be practicing making sounds by placing it in different ways. As for eating F just hasn’t stopped at all. It’s so different… he’s eating everything, such a huge range of textures and foods. He’s using a spoon himself and is letting us feed him too! He can drink from a range of cups too… the only thing he’s spat out since we saw you is cows milk – why would he want that??! As for the breastfeeding, it’s still going strong, though has cut back from pretty much every few hours, day and night to a feed in the morning, a couple in the evening and one or two through the night. F is starting to sleep much better, up maybe once or twice through the night (worst case three times). He’s also sleeping earlier and just more settled in general. One night this week he slept from 9.30 to about 5am… bliss! All in all we just can’t believe the change… he was always happy but now he just seems so much more settled. Being able to eat seems to have really calmed him down, especially at mealtimes. Now he is just so keen to join in… even at playgroup he’s the first and last to leave the snack table. And he’s in his big boys car seat for the over 9kg now!!!!!! We haven’t had him weighed officially for a while, but as soon as we do, we will let you know his centile… by the way I’m struggling to lift him, I’m guessing it’s going up. We got our appointment through for the NHS assessment visit for the 22nd October (nearly 2 months after we saw our GP). I can’t imagine they could have done the procedure at this time either as I guess you need at least some prior warning that your baby is going to undergo a general anaesthetic (they said this would be necessary, something we now find very confusing given how simple it was without!). I don’t even like to think about what would have happened if we trusted the NHS in this case as F could have still been tied past Christmas at their rate, losing weight all the time.